DUBLIN (NYTIMES) – Conor McGregor, the Ultimate Fighting Championship’s (UFC) biggest star and one of the world’s highest-paid athletes, is under investigation in Ireland after a woman accused him of sexual assault in December, according to four people familiar with the investigation. The allegations have not been proven, and the fact that an investigation is continuing does not imply that McGregor is guilty of a crime. A lawyer for McGregor in Dublin did not respond to messages seeking comment. On Tuesday, McGregor announced his retirement from UFC. “I wish all my old colleagues well going forward in competition,” he wrote on Twitter. He has only fought once since 2016, a bout in October that he lost to Khabib Nurmagomedov, and has previously announced a retirement, only to come back. Irish media have reported on the case since news of the assault first broke late last year, but without naming McGregor. Laws in Ireland restrict the media from identifying individuals charged with rapeunless they are convicted, which has not happened in this case. News outlets reporting the identity of a suspect before a charge is brought often face costly libel and breach of privacy lawsuits in Ireland. Publication after a charge is filed could lead to a more serious contempt of court indictment. A spokesman for Ireland’s police service, known as the Gardai, would not confirm if McGregor is the suspect. In response to a request for comment related to an “unnamed sportsman,” it said a man had been arrested Jan 17 and released without charge while investigations continue. A file had been sent to the national prosecutor’s office for consideration, it added. McGregor and the UFC have not commented on the allegations. Karen J. Kessler, a publicist for McGregor based in New Jersey, said he was often the subject of rumours, but would not directly address the validity of the allegation. “We don’t comment on rumours,” she said. The Beacon is about a 25-minute drive from Crumlin, the working-class South Dublin neighbourhood where McGregor grew up. Its typical guests are white-collar workers tied to the financial services or technology companies that have recently relocated to the area. Still, people familiar with the hotel operations, speaking on condition of anonymity, said McGregor had visited before the night police say the incident took place. He booked the hotel’s penthouse, the only two-room suite in the facility. Police investigating the attack retrieved evidence from the room McGregor stayed in and have also secured closed-circuit camera footage, according to a person with knowledge of the investigation. The limitations on naming suspects and McGregor’s wealth – he made an estimated US$99 million (S$133 million) last year, according to Forbes – have created an unusual dynamic in an era when celebrity scandals are usually the subject of fervent media scrutiny. An investigation into Cristiano Ronaldo’s involvement in a sexual assault, reported to police in Las Vegas in 2009, has become an international spectacle. An internal memo from broadcaster RTE leaked into the public domain after his arrest. The document, which appears to be the schedule for a morning radio show, was stamped “not for publication/broadcast” in capital letters and was printed Jan 18. It explained that McGregor had presented himself at a police station at 5pm a day earlier. On the morning the memo was printed, RTE news bulletins included the story of the man being questioned but did not name him. RTE declined to comment. McGregor’s rapid rise from a destitute mixed martial arts fighter living with his mother to the UFC’s most-prized asset has become one of the biggest stories in Ireland in the past decade. McGregor, who goes by the nickname Notorious when fighting, has largely enjoyed the attention, regularly taking to social media to brag and show off the trappings of his newfound wealth. He has also been in the headlines for the wrong reasons, courting controversy since he rose to prominence four years ago. In July, he pleaded guilty to a charge of disorderly conduct, after he threw a dolly at a bus during a promotional appearance at Barclays Centre in Brooklyn, New York. Two fighters were injured by shattered glass. 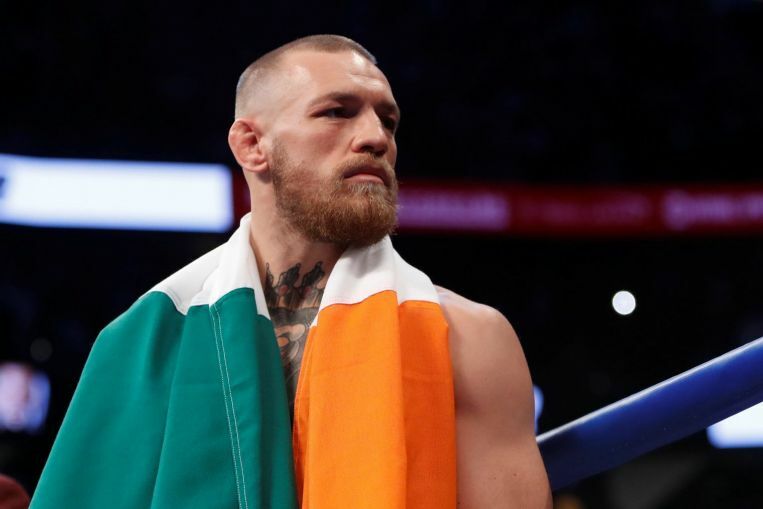 In January, McGregor was suspended by the Nevada Athletic Commission from fighting for six months and fined US$50,000 for his role in a brawl that took place after his defeat to Nurmagomedov in October. Nurmagomedov was barred for nine months and fined US$500,000 for his role in the melee. On March 11, McGregor was arrested in Miami Beach and charged with robbery and criminal mischief after he was accused of stealing a cellphone from someone trying to take his picture. His lawyer described the altercation as minor and said McGregor, who was released after posting bail, would cooperate with police.